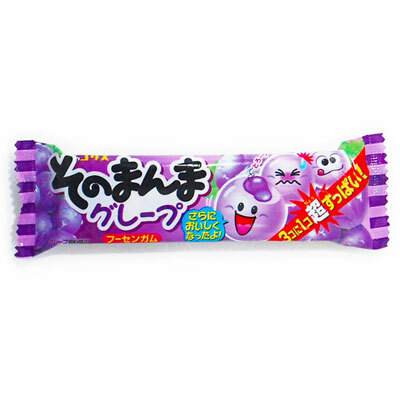 Three pieces of soft, round gum with grape flavored paste inside, in one package. Among the three, one is very sour. You can enjoy sharing it with your friends and see who gets the sour one.